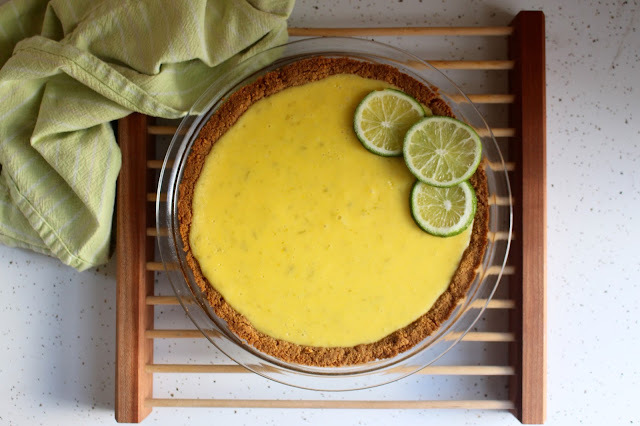 Somehow I've managed to keep a pie blog for 11 years without featuring Key Lime Pie. I've had Key Lime Pie Popsicles, Florida Citrus Pie, and Bill Smith's very similar Atlantic Beach Pie, but have up until now failed to include a straight recipe for the classic American dessert thought to have originated in the Florida Keys around 1890 (at least so says John Egerton and Nancie McDermott; in the Encyclopedia of American Food and Drink, John Mariani dates it as early as 1856). It's due time to rectify this omission. 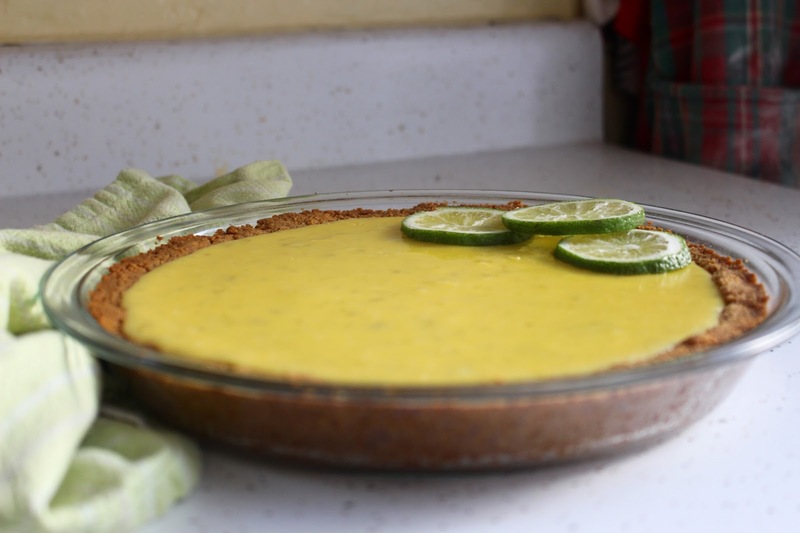 Key Lime Pie's history is closely linked to the history of sweetened condensed milk, which Gail Borden began producing just before the Civil War. The canned product found particular traction, in those days before pre-refrigeration, in areas where fresh milk was not readily accessible. Such was the case in southern Florida. 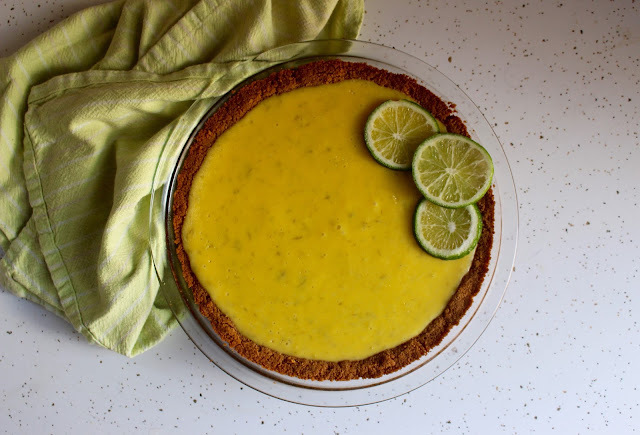 The original Key Lime Pie recipe was likely inspired by another classic pie-- In 1947 the New York Times called it "the equivalent of a lemon meringue pie made with the small, juicy key limes" (Food Timeline). The small, green-yellow citrus fruits, though, were plentiful in the Florida Keys, and were combined with sweetened condensed milk to create a dessert initially distinctive of the region. While the original recipe called for pastry crust, graham crackers are now standard, with some variations employing vanilla wafers, gingersnaps, or occasionally, Ritz crackers. 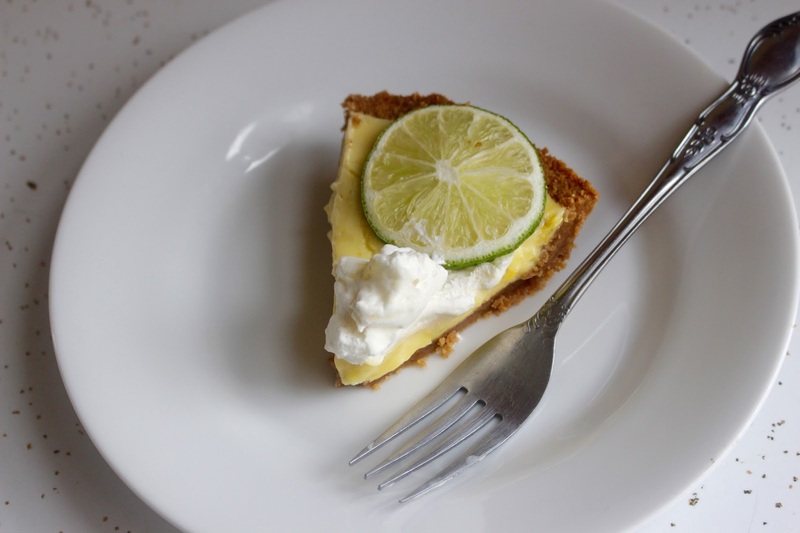 Whether the pie should be topped with whipped cream or meringue can still be a point of contention, though the majority of Key lime pies today opt for the cream. This version, adapted from Alison Kave's First Prize Pies, is a fairly standard recipe, adding an ample dose of lime zest for extra zing. I think it's the perfect combination of tart and sweet. It's best if you use the smaller Key limes, generally available in the winter months, bought in bulk mesh bags at most grocery stores. If you can't find them, though, regular limes will certainly do. 1. Preheat oven to 350 degrees F. Pour graham cracker crumbs in a bowl and stir in melted butter, sugar, and salt until well mixed. 1. In a large bowl, whisk together the sweetened condensed milk, lime juice and zest, egg yolks, and salt until blended and frothy. Pour the filling into the baked and cooled pie crust and bake for 15-20 minutes until the filling has just set and bubbles begin to appear. 2. Remove pie and let cool on a wire rack at room temperature for 20 minutes before refrigerating. Refrigerate at least 1 hour to set. Serve with lime slices and whipped cream, if desired. Enjoy!